The Latvian Gambit is one such tactic in chess that will make the viewers feel entertained even though the player didn’t win the game. Many leading players in chess at one point or another try this gambit not only to make the games fancier but to make the opponent face difficulties in figuring out the refutation of the game. The following are some Latvian Gambit games which are famous all over the world and are interesting to play. Can Black turn his sacrifice to good use? The Black king is now more secure than his counterpart. and Black goes on to win. This line will show how crazy things sometimes get in the Latvian. We have a very sharp line now and an unusal position with probably equal chances. White's earlier error is coming back to haunt him. 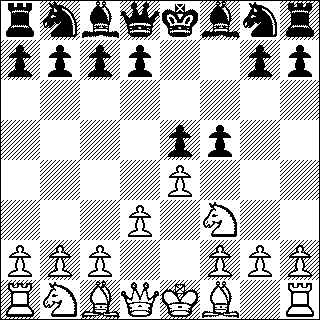 and Black has a crushing position to end the game in a glorious way.